Currently, Huber Heights’ residents living in single family homes, have the opportunity to choose their own waste collection provider. There are several companies who service the city and residents can choose the options and services that best meet their needs. 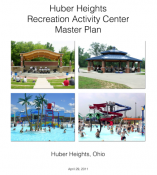 The Huber Heights City Council has requested that City Staff look into the feasibility of contracting with one trash hauler to service the entire city. This report is broken down into sections and at the beginning of each section is a summary of the data contained within that section. 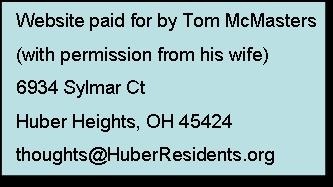 Tom Commentary: I often complain that government entities do not provide us details about the subject. Then I ask them to make reference to freshman college level white papers that would back up their points. When it comes to the effects of large trucks on our roadways (in this case garbage trucks) the author of this report has provided three references that would help you understand the calculations found on page 24 of the study (Effects of Vehicular Weight on City Roadways - as they relate to garbage trucks). Looking at these three studies the last one is the longest and the most interesting in and of itself, but it doesn't seem on first reading to offer much insight into how the numbers on page 24 come about. A quick check of the numbers found on that page seem consistent with each other. I don't see that the author was able to pick all of those particular numbers from the other two articles so the author must have done some calculations we aren't seeing. It will be interesting sometime to see if I can reproduce them by using the information in the articles. Oh yea - koodos to the author for this section of the report. This isn't exactly what I envision. I would expect that he would cite these three references. If they could be found on the internet then he wouldn't have to republish them here. What should be found in this document is how he converted the information found in these three reference to the conclusions he makes before publishing these references. For instance none of the three articles specifically states, "With 140 miles of residential roads in our city, trash trucks cost the City approximately $340,000 per year." Showing us how that conclusion was made would have been good. Still we got a lot more details and with a little time we have the opportunity to check his numbers. Good work. Here is the proposed Trash Collection contract between the City and Republic (Dempsey) as found in the agenda items for the March 25, 2013 council meeting.